Here at Distinctly Different customer satisfaction is our highest priority. This process starts with selecting brands and products that meet the highest quality standards, but also by using our knowledge in shoecare and shaving so we can give you the best advice tailored to your specific situation. We are not only specialised in the area of high end shoe care and shaving products but also have a great sense for luxury gifts and style. 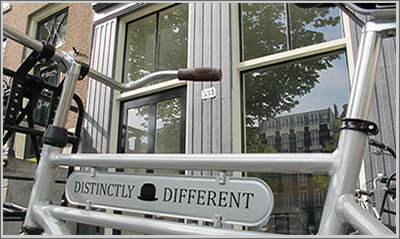 Distinctly Different was founded by a team of young entrepeneurs with the goal to blow new life into traditional practices and the products that come with them. We try to learn from our predecessors, but tend to do things a little different so something simple like taking care of your shoes or personal grooming is much more fun. We might be an online shop, but it is our opinion that a touch of personal attention goes a long way when making an online purchase. That is why we offer the option to view our products at our office/showroom location here in Amsterdam. Do you want to see a specific product in real life? Please contact us using our contact form using the link below and we will make sure to have it waiting for you at our showroom. We are a Dutch online shop in luxurious shoe care, shaving and style products, we also ship to the rest of world.